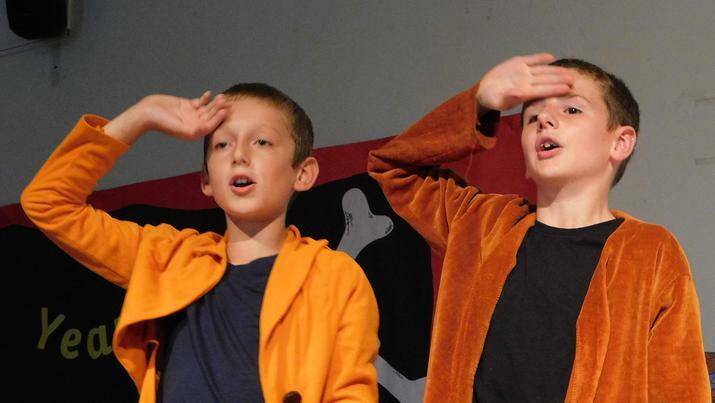 Year 6 pupils at Hereward Primary School in Loughton had an afternoon to treasure as they performed a pirate-themed play to end their time at primary school. The children sang, danced and acted in 'Pirates of the Curry Bean' to their parents and family members. After the confident and enthusiastic performance, the pupils were given leavers' certificates by Headteacher Matt Woolard and Deputy Headteacher Renette Fourie. Former pupil, Alfie Sayer, then presented trophies to recognise particularly impressive achievements. Mr Woolard said: "We are so proud of our Year 6 pupils who have worked hard and shown such a wonderful aptitude for learning. They deserve to have more success when they start secondary school next year."